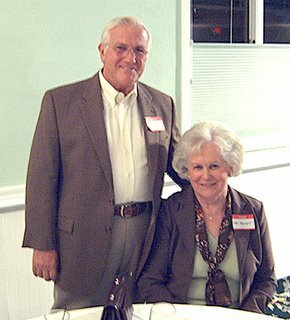 Here's a photo from our 55th reunion at the Mercer County Park's Boathouse which was held in late September, 2006. Bob Beckett and his lovely wife Pat Stoy Beckett were on hand and it was great to relive the good old days. NOTE TO MY CLASSMATES: I regret to say that nearly every photo I took at our reunion came out blurry and I was completely shocked to see that I had set the camera dial incorrectly! Let me explain: The room was quite dark. The dial selector on my digital camera is the size of a dime. The print on that dial is just a bit larger than a mustard seed. Bottom line: WRONG CAMERA SETTING! So sorry. 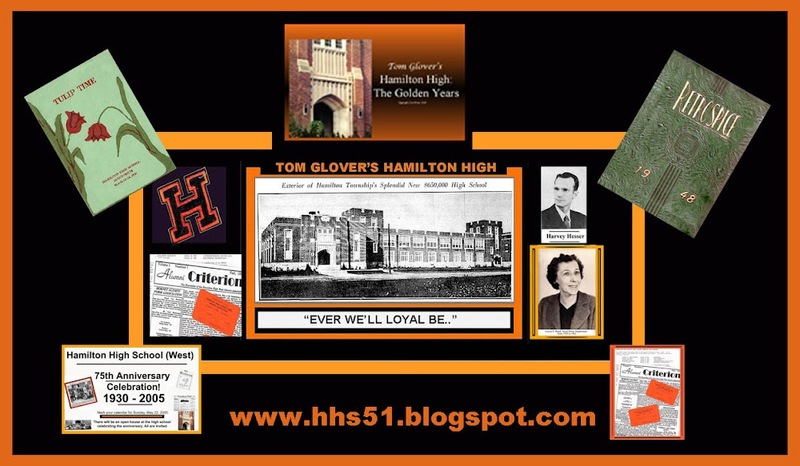 If any of my classmates who took photos of our reunion are viewing this, would you be willing to share them? Please send 'em to thomglo@verizon.net.